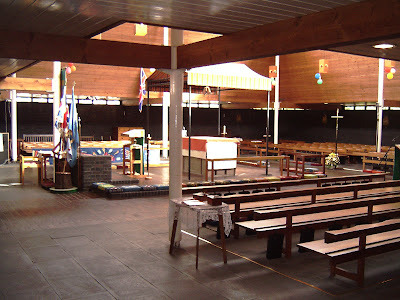 All Saints Church with its distinctive modern design was consecrated in October 1965. The church won several design awards when it was first built. 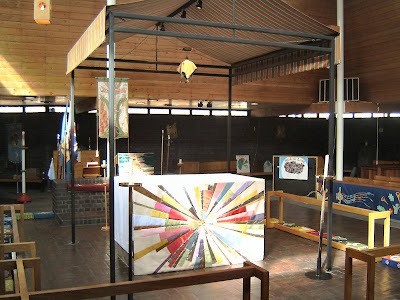 As you enter the church building you see the light, wooden interior, with the central sanctuary space. The aisle travels in around the sanctuary, in front of the congregation to the altar - great for weddings as everyone gets to be close to the bride and groom. 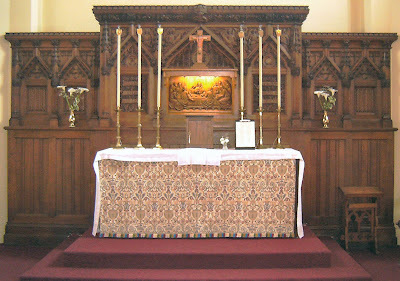 Another view of the altar, looking back to towards the main entrance. 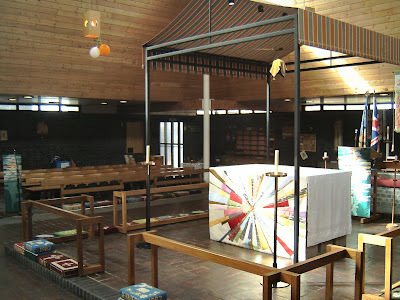 This shows the distinctive awning over the altar, reminiscent of the 'tent of meeting' in the book of Exodus, where God met with Moses. 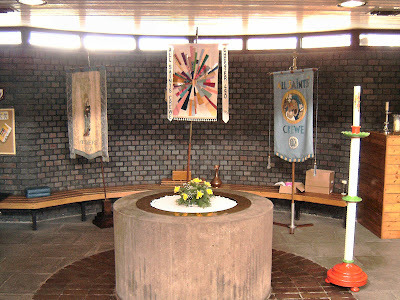 A view of the large circular stone font, situated behind the sanctuary area. We could almost perform baptism by immersion here! Inside the church building is light and airy, with a sense of peace and prayer. 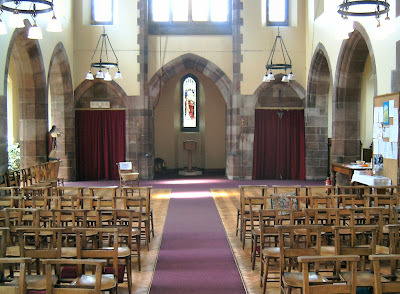 St. Peter's is also a wonderful venue for wedding services. 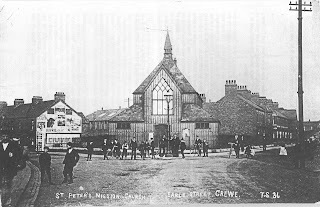 The parish of St Paul Crewe was created in 1869, some 27 years after the local railway works had been established and 32 years after the Grand Junction Railway had arrived in Coppenhall. The Rev'd. John Ashe, fonnaJ1y a curate of Coppenhall Church was appointed its first Vicar. 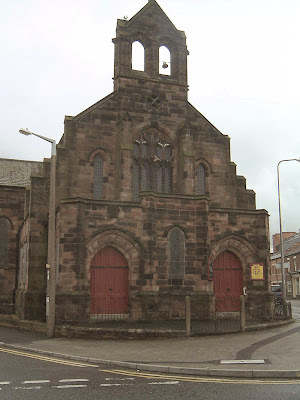 St. Paul's church was consecrated by the then Bishop of Chester, Dr Jacobson, on 27th July 1869. It is alleged that he asked, "Is it a church or a railway station?" This was not totally a spurious question considering that the building then comprised only the nave: a lofty cavern unobstructed by pillars which had been designed by J. L. Stanley the railway company's chief engineer. The cost of both the construction and its general running were borne by the L.N.W. Railway Company. A vicarage was built in St. Pauls Street in 1881 and the Rev'd Arthur Henry Webb was appointed the second Incumbent on January 6th 1879. Canon Frank Webb, brother of Henry, built St Peter's Mission Church in Earle Street in 1894, also financed by the L.N.W.R. Following Canon Frank's death in 1910, it was the Rev'd William Ticehurst Corfield who was appointed to the living in 1911. He was responsible for the creation of several popular organisations including the Mothers' Union. In 1912 this prefabricated building was totally dismantled, moved and re-erected on a site at the junction of Wistaston Road and Stewart Street - where became known as The Tin Church. On 6th November 1913 the building was renamed and dedicated as An Saints Church. Meanwhile a start had been made upon a permanent church building in Earle Street, but because of problems with funding brought about by the Great War, the Bishop decided that nothing more should be done until the end of hostilities. In the interim years services were held in the Vincent Street School Hall. 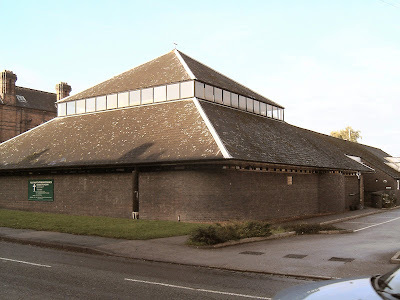 Though unfinished, St Peter's was eventually dedicated on 5th May 1923 and finally consecrated as a Parish Church on 29th April 1931, some 19 years after the prefabricated building had been dismantled. So by 1923 there were 3 separate churches within the original Parish of Saint Paul. In 1931 Saint Peter's finally became established as a parish in its own right. During 1958 Rev'd Ronald Tostevin, then vicar of the Parish, oversaw many changes, which included the erection of a wooden building in Stewart Street almost opposite the modern All Saints Church. This was to provide a temporary church whilst the present building was being planned and constructed, the old 'Tin Church' having reverted back to its original owners (by now called British Rail) who had it demolished and removed. The new All Saints church was designed by award winning architects Maguire and Murray and constructed by Bovis at a cost of around £51,000. (detailed costs are still documented). The Church was consecrated on 31st October 1965, almost a century after Rev'd John Ashe had begun work in Stewart Street. The Ashe memorial plaque is now located in the present church porch. 1961 saw the redrawing of parish boundaries in Crewe, mainly to include part of Wistaston, thus increasing the population of the Parish of All Saints by several thousand. 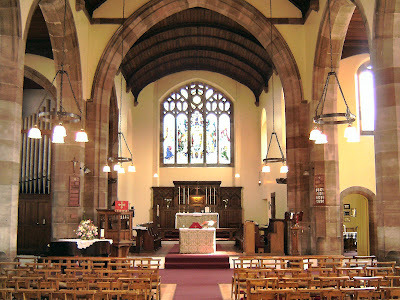 Crewe, in particular the town centre, All Saints was designated the Parish Church in 1980 and St. Paul's assumed the status of a Chapel of Ease. This building was eventually deconsecrated and eventually became the base for the 'Crewe Christian Concern'; a charity providing practical assistance to disadvantaged people of the town. These changes took place during the Incumbency of Rev'd Colin Alsbury, the 10th Vicar of the Parish. 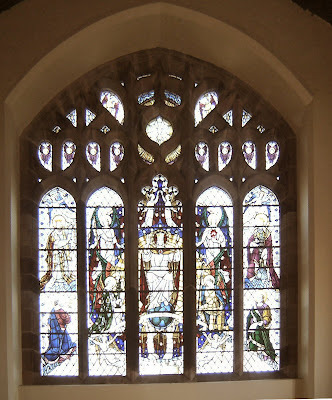 With the ending of an Interregnum arising from the departure of Rev'd Margaret Saville in 2005, the two remaining parishes of All Saints and Saint Peter (also without a vicar following the retirement of Rev'd. Bill Foss) were combined under the auspices of a single Vicar. In 2006 the Rev'd. 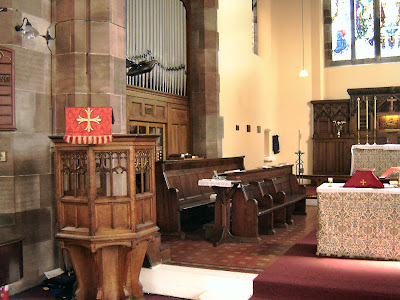 Steve Clapham, former Curate at St. Mary Nantwich, was installed by the Bishop of Stockport and took up residence at the Vicarage attached to the church in Stewart Street. The official title became 'The Parish of All Saints and Saint Paul with Saint Peter. Thus were the strands of our two local histories finally re-united again. A Brief History of the Parish of All Saints and St. Paul Crewe Reverend Robert Spencer. Church and People in a Cheshire Town Reverend J. S. Cowan. Architects' Journal Information Library AJ SFB (96) Building Study UDC 762.5 September 4th 1968. The above account has been collated from the listed bibliography and any errors must be attributed to myself I would welcome any additional information, which could be included at a future date.